Like many large cities, Toronto has special neighbourhoods where specific ethnicities are concentrated to the point that they form the predominant character of those neighbourhoods. Slightly east of downtown, there is a stretch of one of the major east-west roads known to Torontonians as Little India. Like Toronto's Little Italy, Little Portugal, Koreatown, Greektown, and its two Chinatowns (among others), Little India is celebrated as a destination unto itself within the city. You know that you're in Little India when you start to smell an intoxicating combination of incense and spices wafting from the storefronts. When I start to smell these smells, I know that it won't be long before I'm enjoying a delicious meal, and so, Pavlov-like, I've come to associate the aromas of the neighbourhood with the waistband-stretching satisfaction of truly outstanding vegetarian food. After a few visits to Little India as a tourist, a natural curiosity starts to develop. How do they do it? Is there any possible way that I could reproduce these flavours in my kitchen? These are good thoughts to have, it turns out, because when you're immersed in Little India's seemingly endless expanse of steam table buffets, it can be rather easy to over-indulge. At home, there are practical limits to the menu. One of the basic staples is some kind of yellow lentil stew called dal. 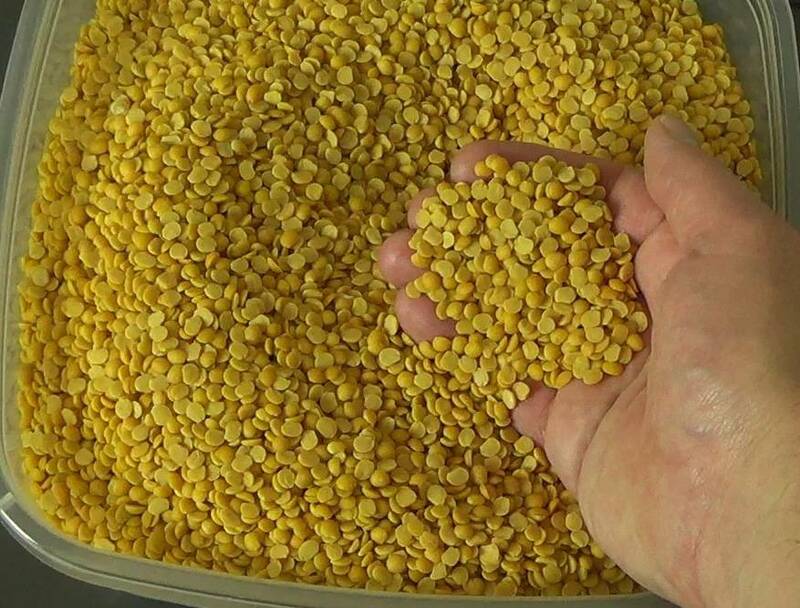 Dal is both delicious and nutritionally virtuous. 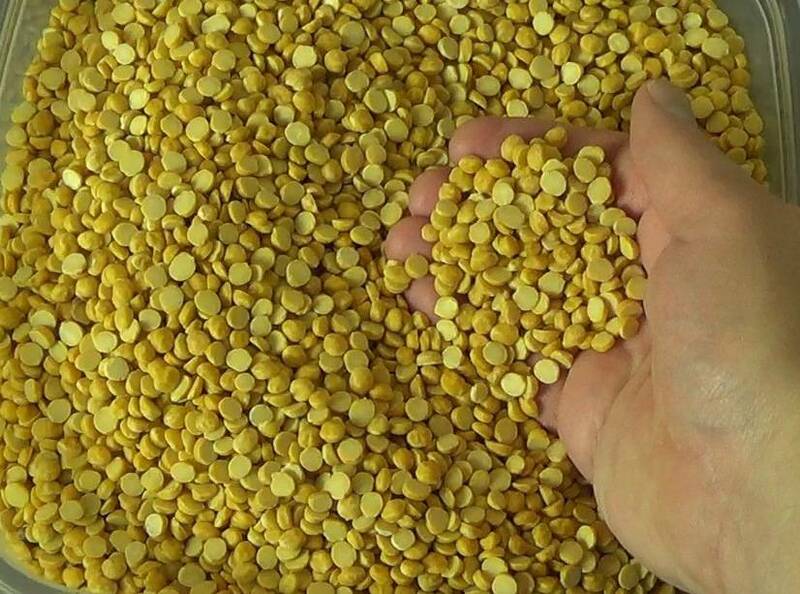 If you've ever been told to get more lentils in your diet, dal is one of the best places to look. Protein, fibre and vitamins are to be had in abundance with these delicious stews. 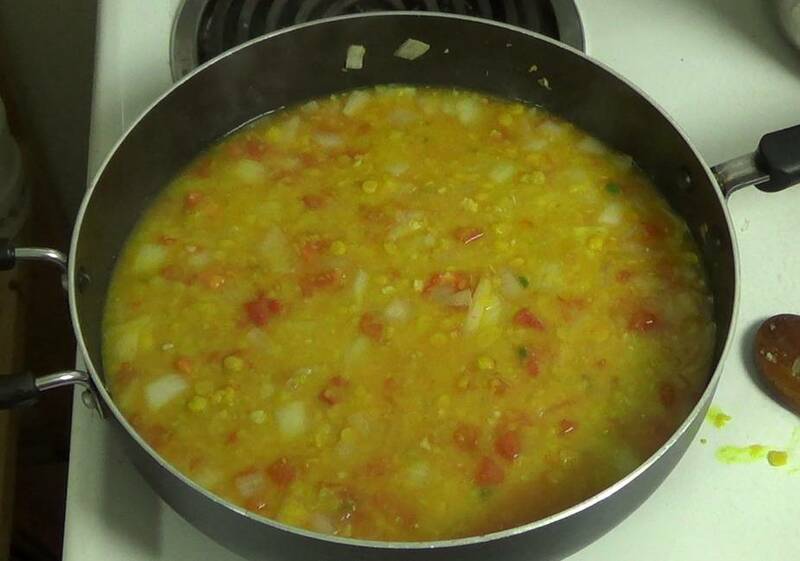 Toor Dal from Manjula's Kitchen. I seriously wanted to be adopted by Manjula after making her aloo gobi. 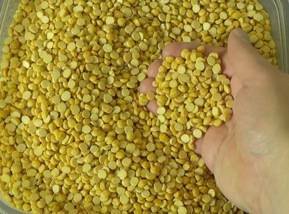 Her toor dal video is no less drool-inducing. 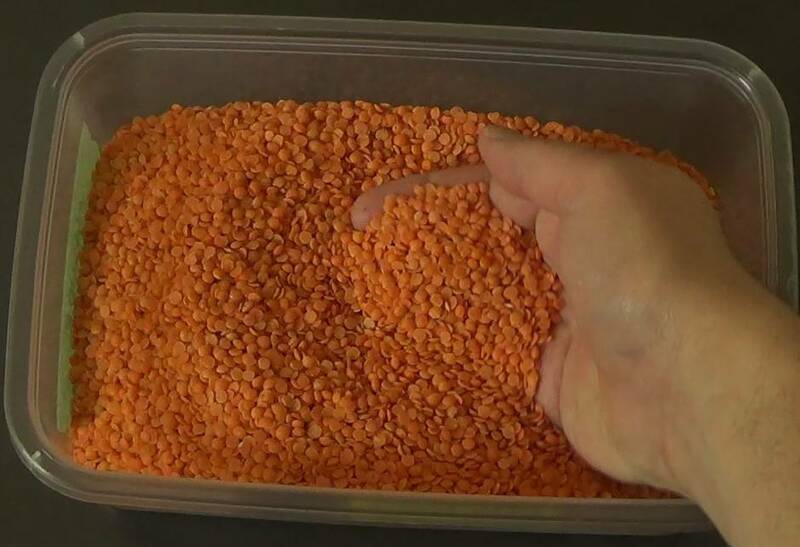 Bhavna takes to youtube to show us how to make dal start to finish. 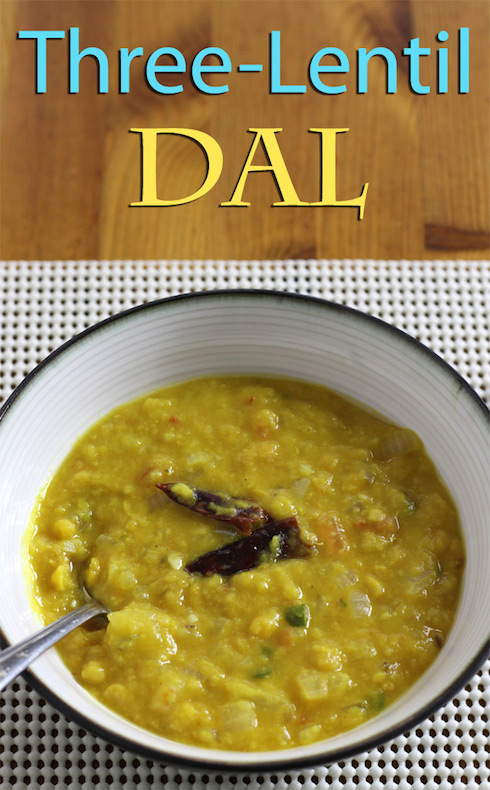 An illustrated dal recipe from the good people at foodviva.com, using three kinds of dal. 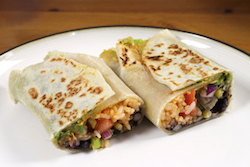 This third recipe is the one that I've adapted to my tastes, but I think you can see the similarities between all of them. I'm going to provide a little more detail on it for those of us who may not be overly familiar with this style of Indian cooking. 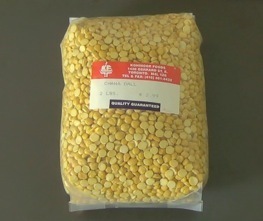 It uses three different kinds of dal (toor, chana and masoor). 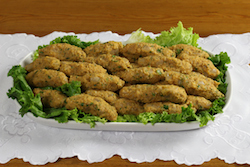 If you want to follow the same recipe, you may need to hunt around your city a little. I go to a small grocery store in Little India where dals and spices are in abundant supply. 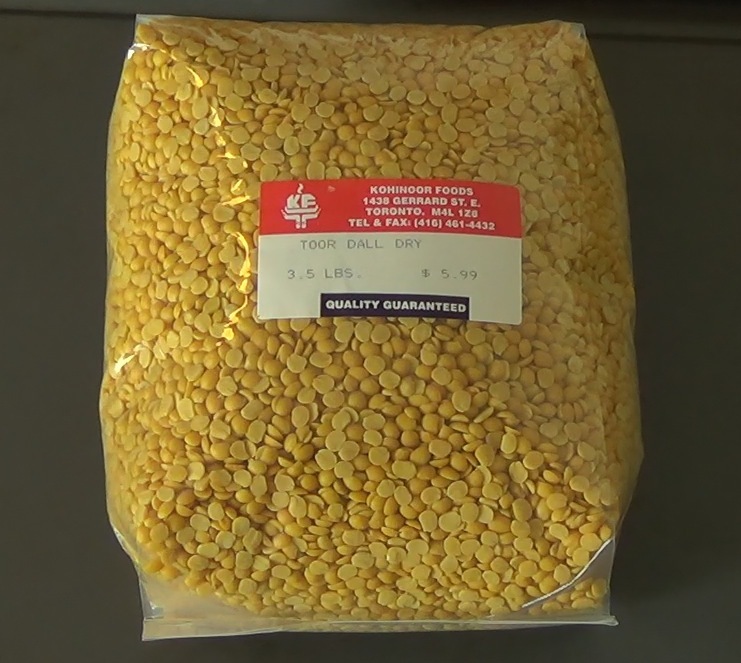 Here are some closeups of the three dals in their packages and in storage containers in my kitchen. I usually buy twice as much toor dal as the other two because it's the dominant one in this recipe. 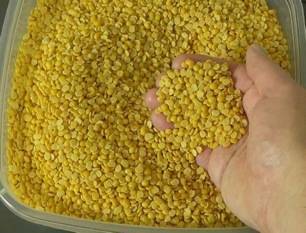 You might be thinking that yellow split peas are the same thing, but unfortunately no. I'll take the flavour of these guys over yellow split peas any day of the week. Slightly bigger and paler than toor dal, the chana dal adds some substance to the stew. 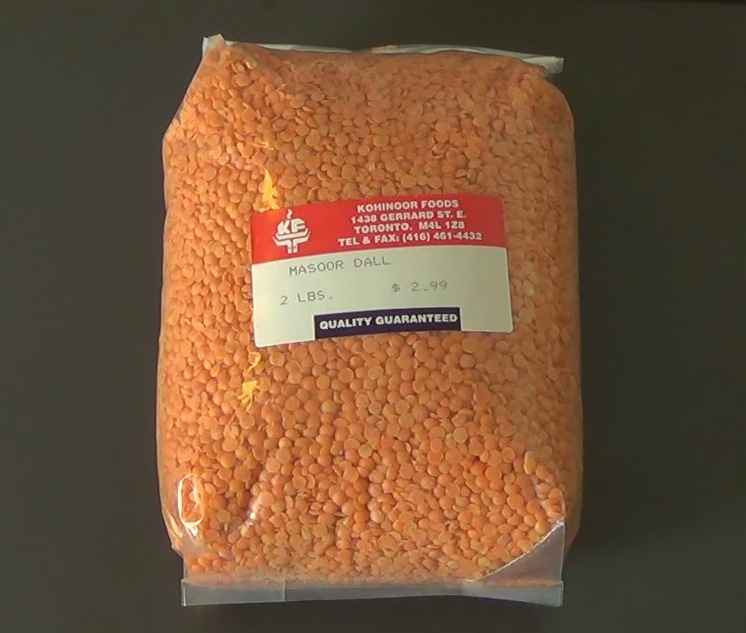 Masoor dal, commonly known as red lentils in the West, is the easiest of the three to find in a grocery store. 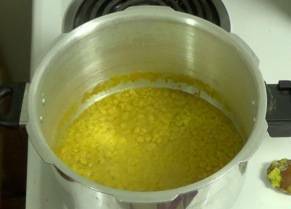 Before starting my dal adventure, I had never owned a pressure cooker before. 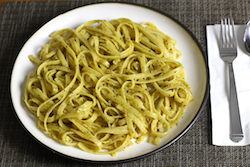 In many of these internet recipes, you'll see phrases like "pressure cook for 4 whistles." I figured it would be obvious what they were talking about once I got my pressure cooker home. It wasn't. Turns out there are a couple of different designs out there, and some pressure cookers, like the one I bought, just don't whistle when they release pressure. Instead, they use a weight over a release valve to try to keep the pressure at a certain point, resulting in a more or less constant hissing. No such thing as four whistles. So, I've had to adapt the pressure cooker recipes I use to my pressure cooker with the help of a cheap-but-accurate kitchen timer. I guess the overall point here is that it takes some trial and error to make your pressure cooker work for you. Please play safe and follow all of the instructions in the manual. 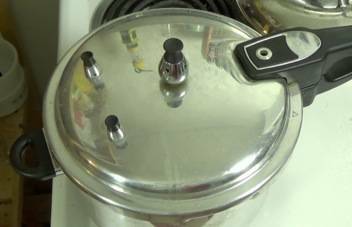 Modern pressure cookers have safety features built in to their designs, but they only work when used as intended. This recipe requires a few different pans going at times: a pressure cooker, a frying pan and a small pot. I've separated out the ingredients based on the pan they go into. The first thing you need to know is that the dals will benefit immensely from a 30 minute soak in a large bowl. 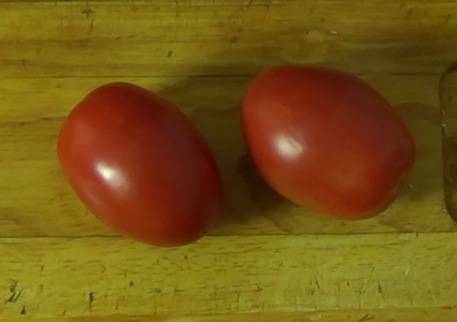 After soaking, you'll want to drain them in a collander and rinse well. 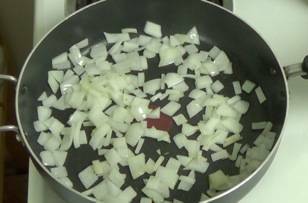 Then, place the whole collander back in the original bowl and fill with fresh water. 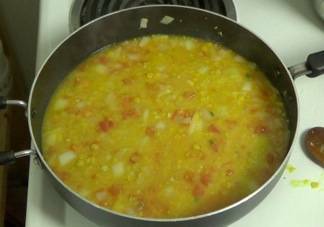 Mix dals well in the collander then shake out excess water. Discard water in bowl. Rinse dals again. 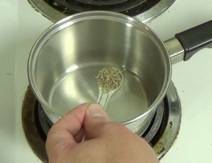 You want to see the water in the bowl becoming less cloudy with each successive rinse. Like I said, the pressure cooker is kind of a trial-and-error type thing. What I do is mix the dals and 2 cups of water, 1 tsp salt, and 1/2 tsp turmeric in the pressure cooker. After securing the lid, I heat over medium heat until the pressure cooker locks itself (I hear a click and then silence). I time 6 minutes from the time the pressure cooker sealed and then turn off heat. Then I allow the cooker to cool naturally, until it unseals itself. This seems to get me the desired tenderness. 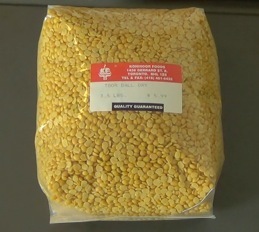 Too much time leads to mush and too little time leads to crunchy dal. You'll know when you've got it right for your pressure cooker. While the dals are cooking, I fry up the other ingredients. I start by mashing the garlic and ginger in a mortar and pestle with a little salt, until a paste forms. Then I chop the onion and tomato. 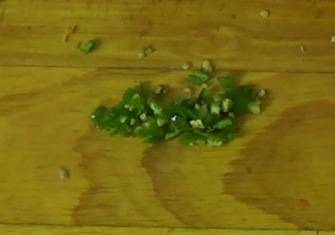 Then I chop up a serrano chili. You can leave the seeds in if you want more heat. 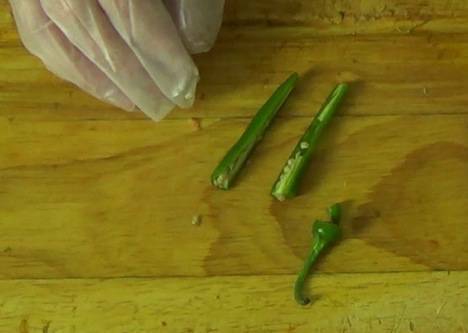 For the sake of later pain-free contact with your mucous membranes, you may want to wear gloves when you're working with serranos. That's probably enough detail. Use your imagination. With the chopping done, I heat 1 Tbl of canola oil in a large frying pan. The recipes usually call for ghee or clarified butter, but I want to do a vegan version. I saute the onion until it softens, approximately 10 minutes. 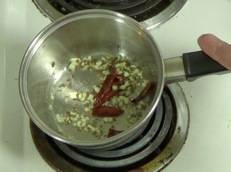 Then I add the garlic, ginger and chili pepper to the frying pan and saute another minute or so. It's important to not let the garlic turn brown. 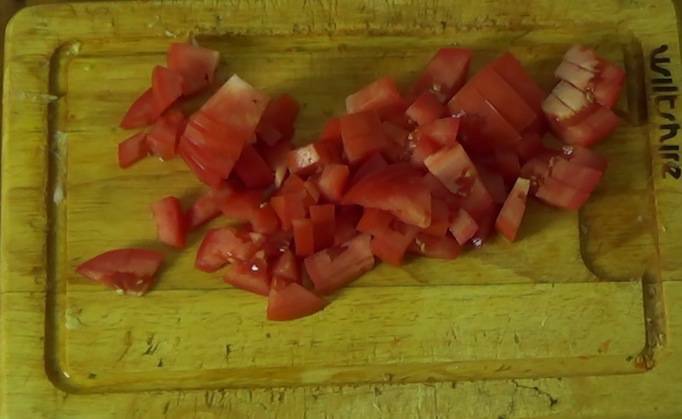 Finally, I add chopped tomato and saute until soft, about 10 minutes. Keep cooking until everything is very soft. 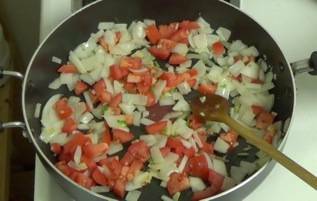 You don't want crunchy onions and tomatoes in your stew. By now the dals should be done cooking, so once the onions and tomatoes are nice and soft, you can go ahead and pour the contents of the pressure cooker into the skillet. Add a cup of water at this point and mix everything very well. Adjust the salt. Reduce the heat to simmer. 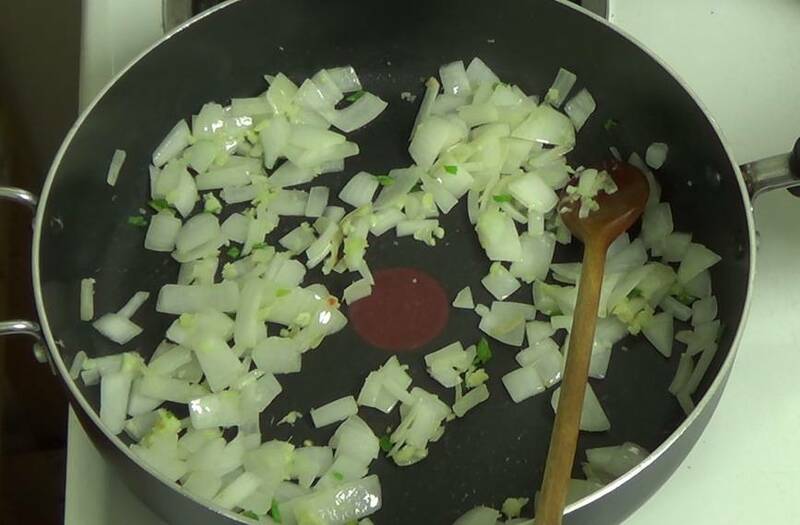 The last step is to add the "tadka" part, which is some additional spice that goes in at the very end. Actually, you often see the tadka in a pool in the center of the bowl in pictures, but I mix everything up. Heat 2 Tbl oil in a small pot. Add minced garlic and dry red chilies. Let garlic turn brown but not burn. 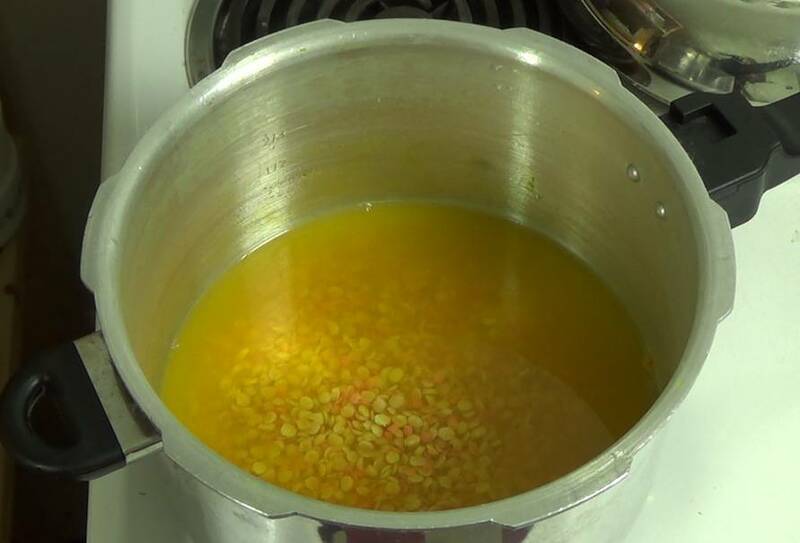 Pour this mixture over the dal.